Porter-Leath is celebrating 27 years of its Rajun Cajun Crawfish Festival and extending the party an extra hour for 2019! 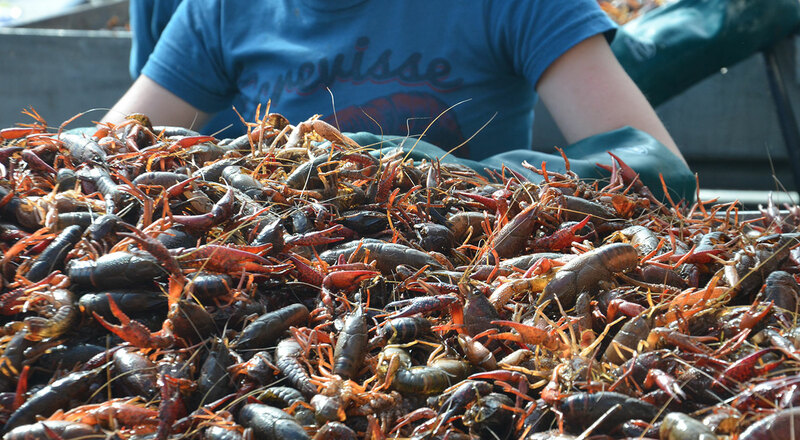 The Rajun Cajun Crawfish Festival takes place April 28, 2019, from 11:00 a.m. to 7:00 p.m. in Downtown Memphis on Wagner Place and Riverside Drive between Union Avenue and Beale Street. 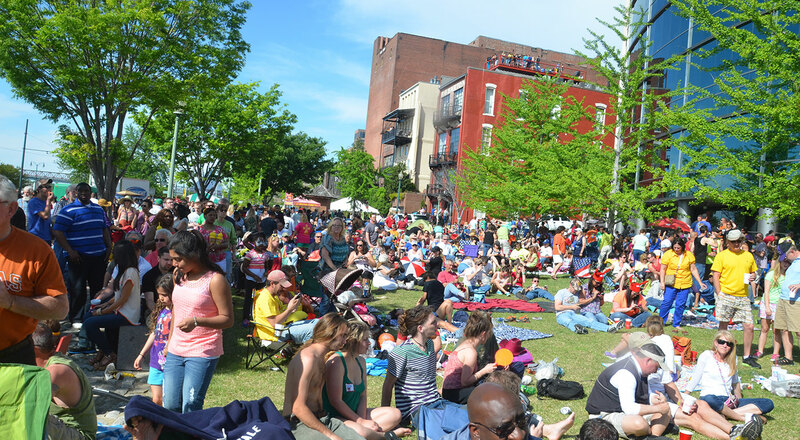 Known as the unofficial start of spring in Memphis, Rajun Cajun is one the few remaining Memphis festivals that does not charge an admission price in order to welcome all Mid-South families to enjoy a fun-filled day together. 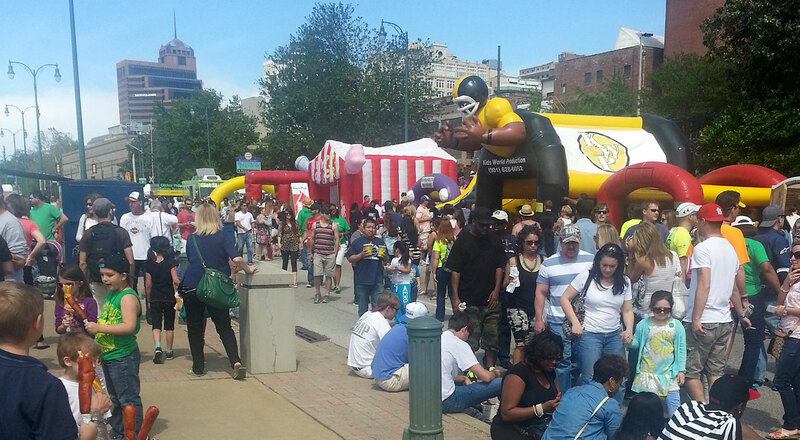 Over 35,000 festival-goers will enjoy live music on three stages from nationally-known and local award-winning artists in Memphis, games including crawfish bobbing, eating, and racing, arts & crafts vendors, and a play zone for children ages 12 and under. VIP experiences are available and include the Monogram Foods VIP Swamp Tent featuring an all you can eat crawfish and Cajun cuisine and Cash Saver Louisiana Gumbo Cook-off which offers cash prizes. VIP Swamp Tent tickets and Gumbo Team applications are accessible in the sections below. For more information or contact Angela Meekins at (901) 577-2500 x 1119. Promote your business while helping the Porter-Leath children! Sponsorship Opportunities are available now. Contact Rob Hughes at (901) 577-2500 x 1167 for more information. No ticket is needed for the festival, but you do need a ticket for the Swamp. For 2019, the Swamp is open from noon till 6:00 PM and ticketholders will enjoy all they can eat mudbugs and Cajun cuisine, plus unlimited soft drinks, beer, and water. Swamp guests will also receive two drink tickets to enjoy a tasty margarita or hurricane. Buy your Swamp tickets quickly as we always sell out! Think your seafood gumbo recipe has what it takes to be the best in Memphis? Put it to the test of our judges! Sign up for the Cash Saver Gumbo Cookoff! You could win a share of cash prizes! After you register, get your gumbo krewe together, make some groceries at Cash Saver, and bring it all down to Riverside Drive on April 28th. Over 24 teams will compete for the coveted cast iron skillet trophy in 2019.